General Motors is recalling 1.4 million older vehicles in its third major attempt to fix a defect that can cause the engine to catch fire. The 1997-2004 Buick Regal, 2000-04 Chevrolet Impala, 1998-99 Chevrolet Lumina, 1998-2004 Chevrolet Monte Carlo, 1998-99 Oldsmobile Intrigue and 1997-2004 Pontiac Grand Prix are covered under the recall. Each has a 3.8-liter, V-6 3800 engine. During hard braking, oil can drop onto the hot exhaust manifold, potentially causing engine compartment fires, GM spokesman Alan Adler said in a statement. This is the third major recall GM has issued for the defect in several of its older models, the others coming in 2008 and 2009. Despite the previous recalls, 1,345 cars caught fire after being fixed, Adler said. GM is “finalizing” a fix but has yet to decide on one, Adler told Automotive News. The fires have led to 19 “minor injuries” since 2009, but GM is not aware of any deaths or crashes. “About 85 percent of the fires were unattended, meaning the car was likely turned off,” Adler wrote in an email. 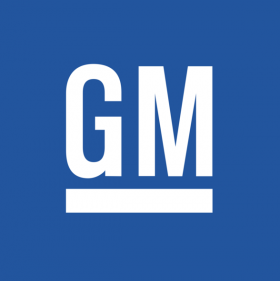 GM recalled 207,000 of the vehicles in 2008 for the same issue after an investigation by the National Highway Traffic Safety Administration. In 2009, GM recalled 1.5 million more of the cars and said dealers could make a fix by replacing a plastic spark plug wire channel that could catch fire as a result of the oil leaks. GM also recalled 50,958 Impala, Monte Carlo and Regal cars from the 2004 model year in May for the same issue. Most of the sedans and coupes in the latest recall are in the U.S. GM is recalling 1,283,340 cars in America, with the remaining 127,992 coming from Canada, Mexico and elsewhere. The Grand Prix, Intrigue, Lumina and Monte Carlo have been discontinued; the Impala and Regal have undergone complete redesigns.